They Actually Expect Us To Have Faith In These Financial Markets After This Week? What in the world is happening to our financial markets? Trading on the Nasdaq was halted on Thursday for more than 3 hours, and the only formal explanation that we got was that it was a “technical issue”. On Tuesday, Goldman Sachs made thousands of “erroneous trades” that are now being canceled. If those trades had not been canceled, it could have cost Goldman “hundreds of millions of dollars” according to the Wall Street Journal. How nice for them that they get a “do over”. When Knight Capital made a similar “trading error”, they were not so fortunate. Our financial system has become completely and totally dependent on computers, and that means that it is extremely vulnerable. After what we have witnessed this week, how can they actually expect us to have faith in these financial markets? And what happens if these “technical issues” get even worse? 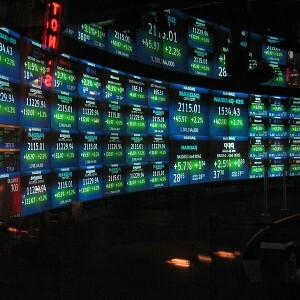 The stoppage on the Nasdaq on Thursday was unprecedented. Trading in literally thousands of stocks and options was halted. Big names like Apple, Netflix, Intel and Facebook were affected. As of right now, officials are not telling us what caused the “technical issue”, but there are rumblings that hacking was involved. And the Nasdaq would hardly be the first exchange to be hacked. In fact, according to NBC News, about half of all the security exchanges around the world were hacked last year. The first wave of denial-of-service attacks attributed to the Cyber Fighters of Izz ad-Din al-Qassam began last September and lasted about six weeks. Knocked offline for various periods of time were Wells Fargo, U.S. Bank, Bank of America, JPMorgan Chase & Co. and PNC Bank. The second wave commenced in December and lasted seven weeks, knocking out mid-tier banks and credit unions. And a third wave of high-powered denial-of-service attacks commenced in March targeting credit card companies and financial brokerages. More recently, a copycat group of profit-minded hackers has conducted denial-of-service attacks against certain U.S. banks as a smoke screen to divert attention while they execute an Ocean’s 11-style wire transfer fraud. Litan earlier this month blogged about that caper. These bad guys, she says, set into motion sophisticated denial-of-service attacks that overwhelmed pretty sturdy bank network security. While tech staff labored manually to get the banks’ websites back into service, the crooks scrambled behind the scenes to extract funds from a bank employee’s privileged account, which they had gained access to. Instead of getting into one customer account at a time, the criminals used the employee’s account to control the master payment switch for wire transfers, and moved as much money as they could from as many accounts as possible for as long as possible, Litan reports. “Considerable financial damage has resulted from these attacks,” says Litan. A programming error at Goldman Sachs Group Inc. caused unintended stock-option orders to flood American exchanges this morning, roiling markets and shaking confidence in electronic trading infrastructure. An internal system that Goldman Sachs uses to help prepare to meet market demand for equity options inadvertently produced orders with inaccurate price limits and sent them to exchanges, said a person familiar with the situation, who asked not to be named because the information is private. The size of the losses depends on which trades are canceled, the person said. Some have already been voided, data compiled by Bloomberg show. Of course if those trades had made hundreds of millions of dollars for Goldman they would have been allowed to stand. But because Goldman was about to lose hundreds of millions of dollars authorities worked very rapidly to start “breaking” those trades. This is just another example that shows how much of a joke our financial system has become. Wall Street has become a massive computerized casino, and at some point this fraudulent house of cards is going to come crashing down hard. The seeds for all of this were planted back in the late 1990s. The Glass-Steagall Act was repealed and the big banks started to go hog wild. The Treasury official playing the bankers’ secret End Game was Larry Summers. Today, Summers is Barack Obama’s leading choice for Chairman of the US Federal Reserve, the world’s central bank. The year was 1997. US Treasury Secretary Robert Rubin was pushing hard to de-regulate banks. That required, first, repeal of the Glass-Steagall Act to dismantle the barrier between commercial banks and investment banks. It was like replacing bank vaults with roulette wheels. Second, the banks wanted the right to play a new high-risk game: “derivatives trading”. JP Morgan alone would soon carry $88 trillion of these pseudo-securities on its books as “assets”. Deputy Treasury Secretary Summers (soon to replace Rubin as Secretary) body-blocked any attempt to control derivatives. But what was the use of turning US banks into derivatives casinos if money would flee to nations with safer banking laws? The answer conceived by the Big Bank Five: eliminate controls on banks in every nation on the planet — in one single move. It was as brilliant as it was insanely dangerous. To learn more about how they used the WTO to transform the global financial system into a gigantic casino, head on over and read the rest of Palast’s outstanding article right here. And you know what is truly frightening? Larry Summers appears to be Barack Obama’s top choice to become the next chairman of the Federal Reserve. That statement should send chills up your spine. The truth is that Larry Summers should not even be running a Dairy Queen, much less the most powerful financial institution on the planet. If Larry Summers becomes the next head of the Federal Reserve, it will be an unmitigated disaster. But it looks like that is exactly what we are going to get. We are rapidly heading toward the next major global financial crisis, and on top of everything else we will probably have Larry Summers running things soon.